Boutique of Quality Books, 9781939371362, 322pp. Michael Riddell suffered more than a mid-life crisis. Call it a complete life revision! At the age of forty-five, after changing his mind about life, career, and magic crystals, he embarked on a path he never knew was there. It brought him to Melinda, his soulmate and spiritual anchor, and let him gather his life back after almost losing it all. Turns out it was just the beginning. 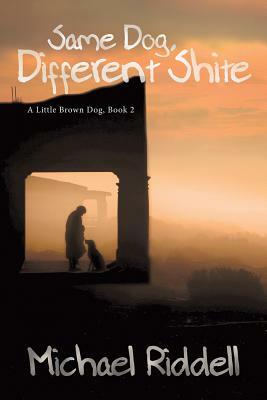 In his follow-up to Life, A Little Brown Dog, and Shite Like That, Michael learns that sometimes you have to face some tough truths, including those about yourself, and perhaps travel through darkness before reaching the light. That redemption can be fraught with danger, and may come at a hefty price. Michael Riddell was born in Sydney, Australia, and after earning a degree in economics, married his college sweetheart and joined the family hotel business. After leaving the hospitality industry behind, Michael found a career in cotton farminga career that would ultimately leave him financially bankrupt and end his twenty-five-year marriage. Michael has had fifteen dogs, thirteen cars, six nicknames, five cats, two children, and three stepchildren. When not working in his new field of gas pipelines, he shows a willing aptitude for breaking thingsmachinery, motor bikes, bank balances, and hearts. He likes little brown dogs and beer and is inconsolable when his football team loses. Michael now lives in Northern New South Wales, Australia, with his wife and soulmate Melinda."